The first time we heard about Avita was during our visit to this year’s CES. They were showcasing their latest laptop computer, the Liber, and the array of colors that it’s available in. Avita’s intention with their line of computers is to liven up the market. 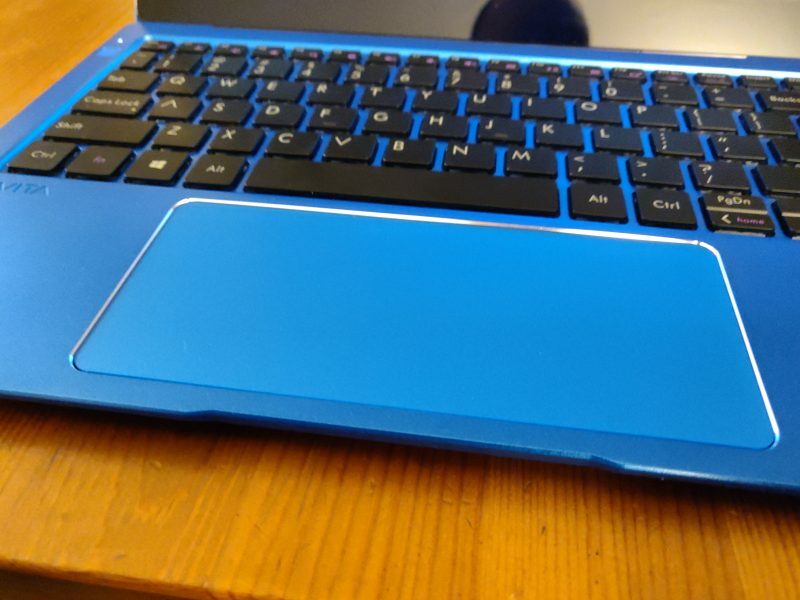 They want consumers who use laptops to express themselves with their favorite color. 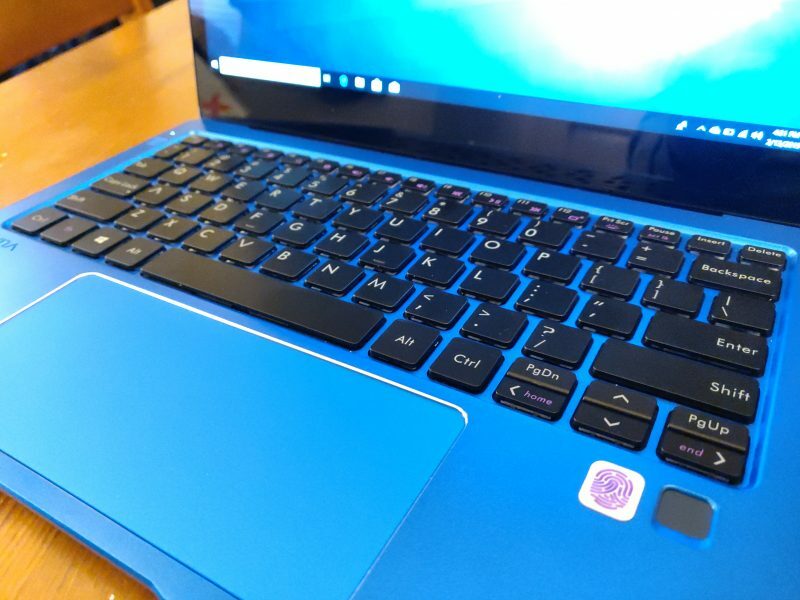 For the last few weeks, we’ve been trying out the Liber to see if these colorful laptops can perform for everyday use. For this review, we were given the “Himalayan Blue” color, which I will say really pops out at you. It feels good to use a laptop that’s not your typical black, silver, or white color. The color itself is guaranteed to make you stand out when you’re at work, school, or working at a coffee shop. The Liber is a unibody design made from a metal chassis, which really makes the laptop feel light and durable. The Liber carries a very minimalist design. 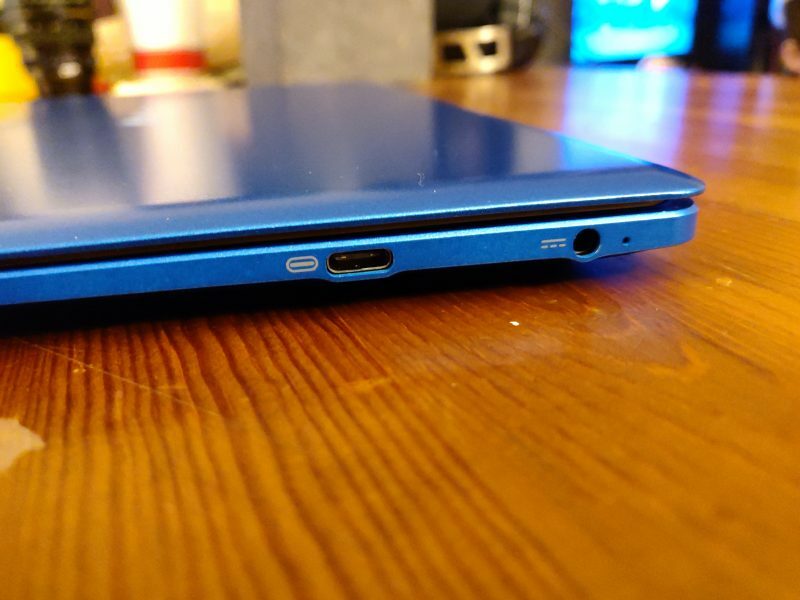 It has just a few essential ports on the sides, and when it’s closed, the laptop has a nice sleek and streamlined look, which feels good when carrying it in your hands. Underneath the laptop, you’ll find four rubber feet that elevate the laptop ever-so-slightly off the surface to provide some airflow. You’ll also find two downward facing speakers on each side. The “Avita” logo on the top side of the laptop rounds off the Liber’s minimalist look. The logo is carved into the metallic chassis and highlighted with silver edging, this not only makes the logo pop but doesn’t make it obtrusive. The Liber has a 12.5” screen with about a half-inch bezel surrounding it. The bezel itself is black, which not only makes the screen brighter but makes it feel bigger than it is. The keyboard has a mechanical feel to it. The keys are responsive and are spaced out just enough to eliminate that tightness feeling in your hands and fingers. The trackpad is one of the biggest I’ve ever seen on a laptop, which measures just above 6 inches. It’s smooth and my finger was able to glide over it relatively easy. The Liber also features a fingerprint reader, and a small power button that rolls right into the body of the laptop. Inside the Liber you’ll get an Intel i5 7th gen processor with a speed of 1.2GHz, Intel UHD Graphics 615, 128gb SSD SATA M.2, and 8gb LPDDR3 ram at 1866MHz. The Screen is 1920×1080 FHD with a 16:9 display ratio and there is a 720p HD front-facing webcam. When it comes to ports, you’ll get one USB-C, a 3.5mm jack for headphones and other audio devices, and a DC-in for charging up the laptop. Weight wise, you won’t have to worry about carrying the Liber all day in your bag, since the laptop itself weighs just around two-and-a-half pounds. Though the Liber is utilizing the i5 processor, the computer was still fast enough to handle the daily tasks I was using it for, which was mainly word processing, checking emails, etc. Of course, I didn’t load that many programs onto the laptop during this review, but what I did have, had no problems running. Specs wise, I knew that the laptop wouldn’t really be able to handle gaming, but for the curious gamers, cloud gaming services such as the Nvidia GeForce NOW should run without any problems. While the 12.5” TFT IPS display might seem small for some people, the display is a perfect size for the Liber. It gets very bright and has some great viewing angles to it. Colors are fairly accurate and the blacks come off very deep. By having the speakers face downward the audio can then bounce off the surface the laptop is on. This makes music and audio sound larger and wider than it would typically sound if the speakers were on the top. While listening to music It felt as if the music was surrounding the laptop and coming from every direction. Volume at 100% doesn’t sound very loud. If I were to compare it to my smartphone, my phone would sound louder at 100%. While listening to music I did notice that it doesn’t have any real depth to it. The sound profile was very flat and even, with really no distinction in the lows, mids, or highs. The large trackpad took some time for me to get used to. Though it measures around 6 inches, I had some difficulty using one hand with two fingers. Most of the time it would respond to only one finger, so basic tasks such as highlighting text came with some trouble. But when I did have to use the trackpad for things such as scrolling through web pages, it was very responsive to my touch and was extremely smooth. The keyboard felt great under my hands. I really appreciate when I can use a keyboard that has that satisfying “clickiness” when you’re using it. I was able to type for longer periods of time without feeling any strain or tightness in my hands. Battery life exceeded my expectations. Avita says that the battery can last up to 10 hours on a full charge. Based on my experience, using the laptop for my daily use, such as writing reviews like this, I was able to squeeze out a few days of on and off use before I had to recharge the laptop. I’ve never used a fingerprint reader on a computer, I always felt that they were an unneeded feature, but with that said, the fingerprint reader on the Liber worked a majority of the time with some pretty quick accuracy. 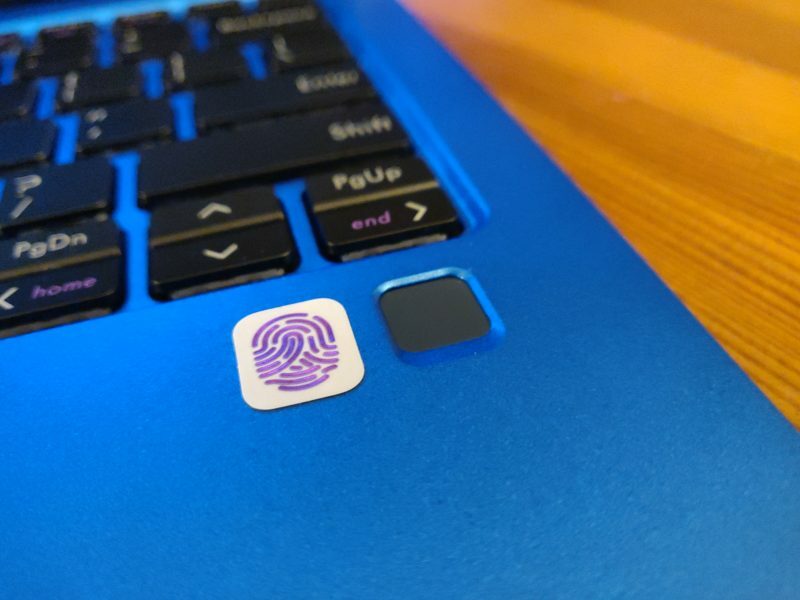 Setting up the sensor was as easy as setting up the sensor on my smartphone, and when it came to actually using it to unlock the laptop, I can confidently say that 80% of the time it would read my fingerprint. There were a few instances that It wouldn’t read properly, which then would require I use my password. When shopping for a new computer, there’s a lot of options you can choose from depending on how much you want to spend. Now for the mid-range laptops, you can, of course, choose a more familiar name. But if you’re looking for a computer that can handle all your daily needs, then I would say the Liber can be that computer. 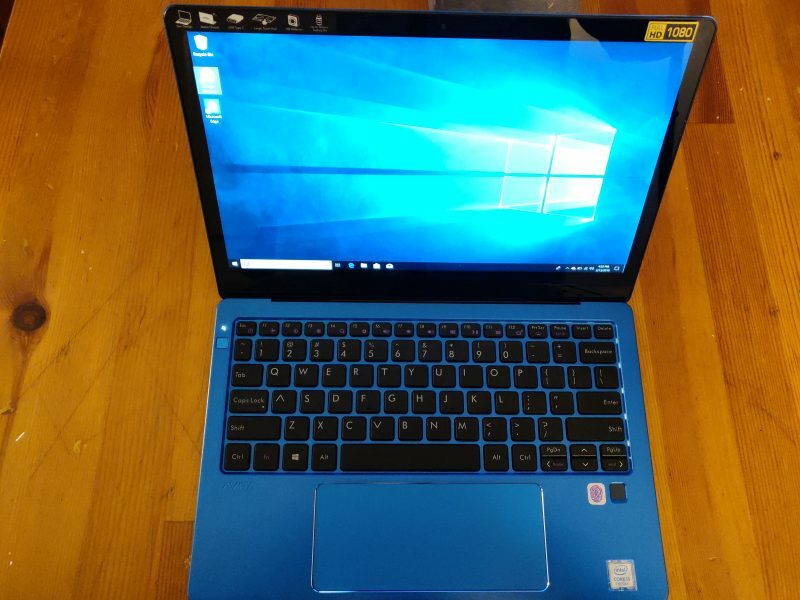 It’s a perfect laptop for students, avid writers, or even the business person. It’s fast enough to handle your typical office software such as Word and Excel, but if you’re into gaming or any creative work, the Liber might not fit your needs. It’s lightweight, durable, and feels great under your hands. The minimal design such as the unibody metal chassis gives the Liber a nice sleek finish which is complimented by the array of colors that are available. With a price tag of $699.99, the Liber isn’t perfect. The large trackpad takes some time to get used to, especially if you have smaller hands, and there’s only one USB-C port, so for those that have external hard drives or USB sticks that still use USB. 3.0, you’ll have to either buy a dongle or a USB hub, which can be burdensome for some people. Overall, the Liber is a computer that is meant for the everyday mover and shaker that need to rely on a laptop that can move as fast as they do.